Or at least it is until one famous day, when Dave, bald but for a single hair, finds himself assailed by a terrifying, unstoppable… monster! Meaning: a gigantic, evil beard! Beneath the skin of everything is something nobody can know. The job of the skin is to keep it all in and never let anything show. 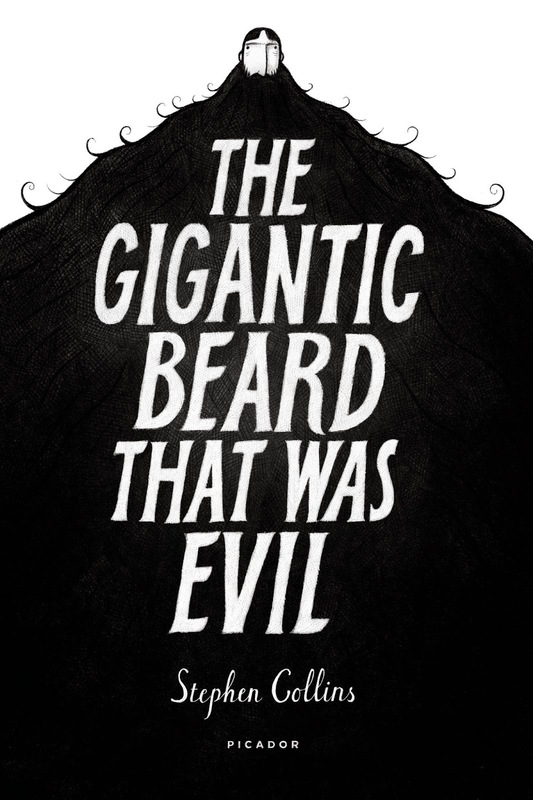 So begins The Gigantic Beard That Was Evil, award-winning cartoonist Stephen Collins' first graphic novel proper, and it is as dark and charming a parable as the poetry of its first panels portends. The eventual originator of the evil beard is a drone called Dave. Not literally a drone, however his behaviours are practically mechanical. In that, Dave is not dissimilar to the other strangely hairless inhabitants of Here; like them, he lives in almost constant fear of There. Happily, his job at A&C Industries occupies his thoughts during the day, and in his downtime, Dave draws. He draws the pedestrians that pass his house; he pencil sketches pets and post boxes; but by and large his subject is the street. "It was just so neat," you see. "So... complete." Not such a remarkable fact, that, for "Here, every tree was perfect. Every street was perfect. Even the very shape of Here was perfect." Tellingly, the island bears a certain resemblance to an immense egg—and a delicate thing it is, protected by a shell only so strong. The houses [Here] were rock-bottom cheap and showed windowless walls to the great dark deep for a very good reason. Because Here, the sea was a thing to fear. The sea led to There. There was disorder. There was chaos. There was evil. Or so They say. Though "nobody had ever even been," really. "No one alive, anyway. The stories were enough for most people, including Dave." Like the one about the fisherman's son who stole a boat on a boast. "They said There took his tidiness away. Swallowed his boundaries whole. Mixed his [...] befores with his nows with his nexts." Thus the state of perpetual terror Dave and the other people who live Here exist in. The hair had always, always, always been there. It must have been the strangest, strongest hair in the world. For whether it was shorn, plucked, snipped, ripped, or waxed, within half an hour, it would always grow back. [...] "Neither thinner nor stronger?" "No." "Shorter nor longer?" "No." "Just the same as it was before." Everything changes the day Dave's stray hair multiplies a millionfold. Before long, his beard is bristling in faster than he can hack it back—than anyone can, come to that. "It filled Dave's room. It untidied his things. And all he could do was watch as it grew." Its blackness seemed to drown all thought. People found themselves watching it for hours, as it curled into, and over, and around itself. It seemed to evade definition somehow, for its top side was its underside, its right side was its left side, and its inside was its outside. In fact, when people looked at it closely, they couldn't even tell where it stopped. The Gigantic Beard That Was Evil is a parable as timeless as it is timely: a crosshatched commentary on the climate of fear marketed by the modern media. That it is so very relevant is no surprise considering its creator's career as a cartoonist for The Guardian; rather more remarkable is its restraint. 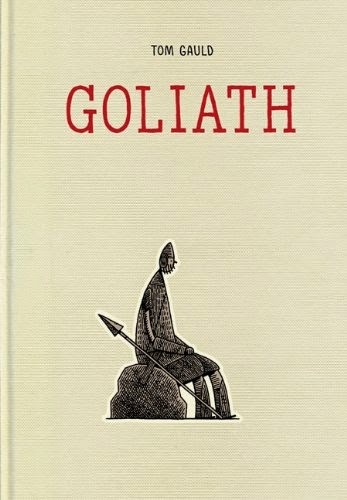 From the tenderness with which Collins depicts Here and its inhabitants to the book's beautifully ambiguous conclusion, The Gigantic Beard That Was Evil walks the line between the considered and the overtly critical cannily. 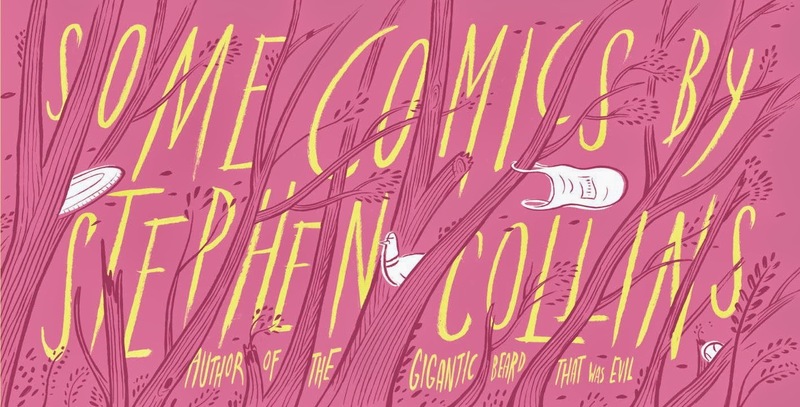 Bolstered as it is by rhyme and reason, Collins' poetry would be particularly powerful even absent the lavish line art that finally sets this graphic novel apart. His pencils are oh-so-soft in some spots; an essential gentleness contrasted to tremendous effect elsewhere. From his playful layouts to some striking symmetry, Collins' use of space, too, is terrific—especially when the chaos of There begins to bleed into the neatness of Here, and the relaxing expanses of bright white we've been treated to are bastardised by spreads of endlessly spiralling darkness. 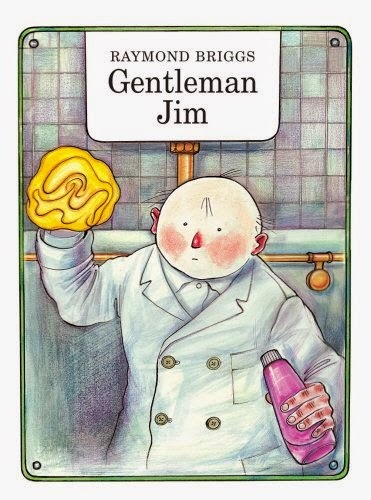 An analogous exploration of the other that adults are at least as likely to love as the little ones the book's look is apt to enrapture, The Gigantic Beard That Was Evil is as true a tale as it is tall. I wouldn't hesitate to recommend it to readers one and all.